This dessert bar in Potong Pasir is opened by Ms Keely Wee, who was the runner-up during the second season of reality TV singing contest Campus Superstar in 2007. The menu is divided into two sections: Back to Basics and Extravaganza. Back to Basics is inspired by the traditional ice cream that is served in rainbow bread and features ice cream served in bread rolls such as the Caramel Sweetheart, S'moregasm and Rainbow Fantasy (all $10.80 each). As its name suggests, expect fancier desserts under Extravaganza, such as the Volcanic Avalanche and Flowerpecker & Nest (both $15.80 each). The Volcanic Avalanche is a raspberry molten lava cake topped with a Florentine cookie and vanilla ice cream within a chocolate layer shaped like a volcano. Flowerpecker & Nest is made with three chocolate eggs filled with different desserts, including salted caramel ice cream, caramelised biscuits, chocolate mousse, cheesecake mousse and lemon curd. The eggs sit in a nest made of fried vermicelli and chocolate-coated pretzel sticks. This 3,000 sq ft, 140-seat restaurant in Serangoon Garden is owned by Long Jiang Culinary, which also runs Chinese seafood restaurant Long Jiang Chinos in Yishun. Chef Terrence Siew, who has more than 20 years of experience, helms the kitchen at Jalan Petaling. The lunch menu features mostly single-dish meals. For dinner, which starts at 5pm, dishes are upsized to cater to groups. Lunch exclusives include dishes such as Claypot Stir Fried Silver Needle Noodle ($6.80+), which is served with a raw egg. 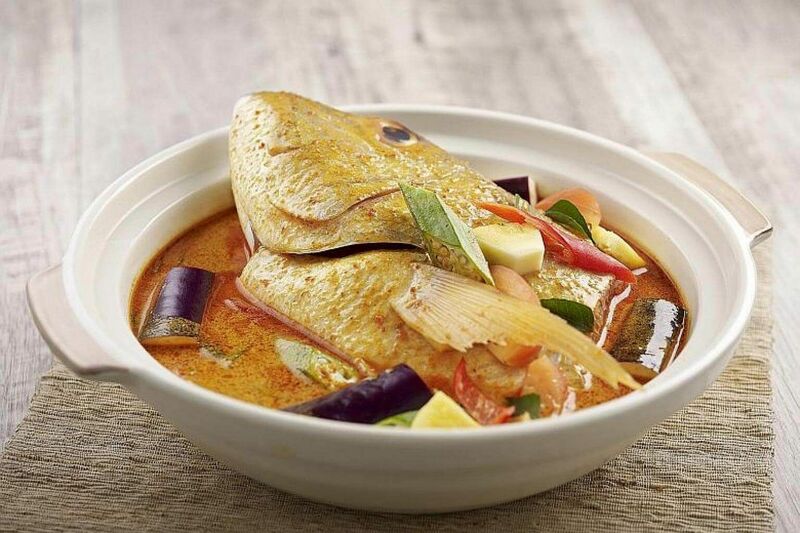 All-day highlights include KL Seafood Hokkien Mee ($8.80+ for lunch, $18+ and $34+ for dinner), which uses dark soya sauce to make it darker than the Singapore version; and the Signature Assam Curry Snapper Fish Head ($25+), which uses more than 15 spices in its assam curry blend. Snacks are also available, with larger portions at dinner. They include Deep Fried Prawn Roll, Deep Fried Lemon Grass Chicken and Homemade Crispy Tofu with Mayonnaise Dip (all $5.80+ each for lunch, $12+ and $20+ each for dinner). PS. Cafe has opened its ninth - and biggest - branch. Overlooking Marina Bay, the more than 5,000 sq ft space can accommodate up to 160 guests. Diners can expect PS. Cafe's usual favourites such as Salmon Royale Benedict ($32++) and PS. Fluffy Pancakes ($24++), but also look out for new dishes exclusive to the One Fullerton outlet. 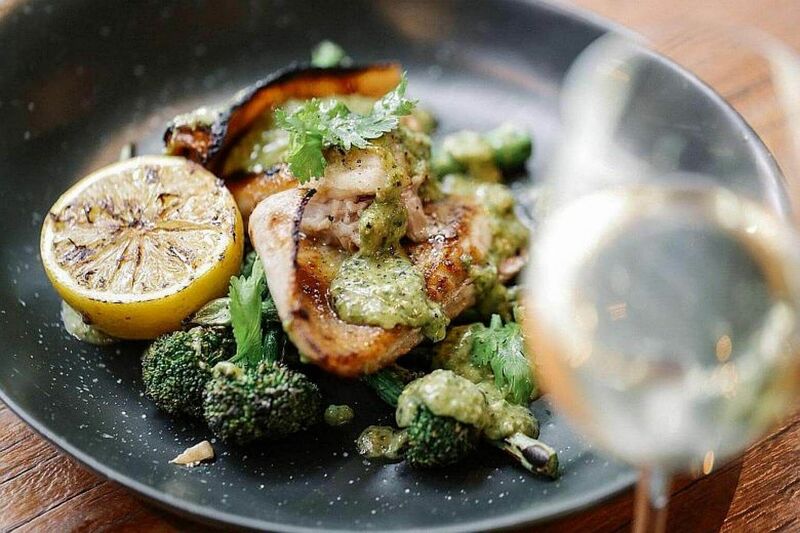 These include dishes such as Chargrilled Skate ($34++), with green harissa and broccolini; and Moules Vin Blanc ($28++), mussels with crusty dipping bread; and Grilled Sticks, for smaller bites. Flavours include Prawn & Crab Otah ($8++) with a tamarind chilli dip and Spicy Chorizo Kofta ($6++) served with a honey and mint labneh. The bar serves Fullerton Sours such as Doctor's Orders and Typhoon Carter (both $21++ each). Doctor's Orders is a blend of Laphroaig and Famous Grouse whiskies, honey, ginger, lemon juice and candied ginger, while Typhoon Carter infuses Plantation Overproof Rum with spiced passionfruit.